Apple has shown its first serious advancement to its ibeacon platform since it first announced ibeacon technology integration into iPhones back in 2013. Apple Maps Connect (AMC) is a new tool available to businesses that gives them more control of its maps listings. 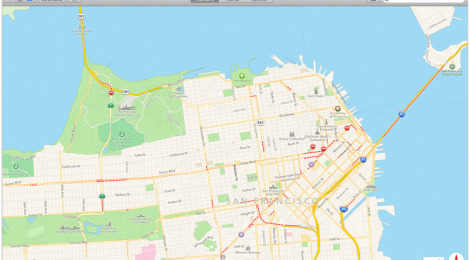 Each business can now register with Apple and modify and alter their current listings on the company’s mapping service. In order to improve the accuracy of Apple Maps, AMC’s interface lets business owners drag a pin onto the specific building. This confirms their location, facilitating a better user experience for Apple Maps users. The interesting part about this update however is the ability for business owners to register ibeacons. Businesses with a high level of foot traffic can register their business on the Apple iBeacon registry. A high level of foot traffic denotes companies with over 1 million visitors annually. This platform will now make beacon technology more accessible for business owners looking to boost sales and the number of repeat customers by allowing them to engage their customers on their mobile devices. It’s interesting to see how far Apple will go with this. In the near future, we imagine a fully customizable interface available for small businesses that gives owners the power to quickly change beacon push messages, monitor beacon data and other insights. 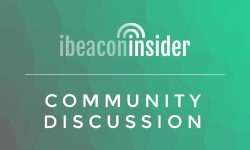 To be sure, Apple will look for a way to monetize the beacon platform but to guess on how would simply be speculation.